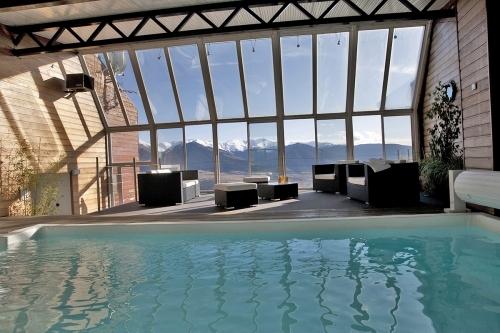 The contemporary-styled, Hotel Le Grand Tetras in Font Romeu is perfectly placed in the heart of the resort amongst shops, restaurants and bars. 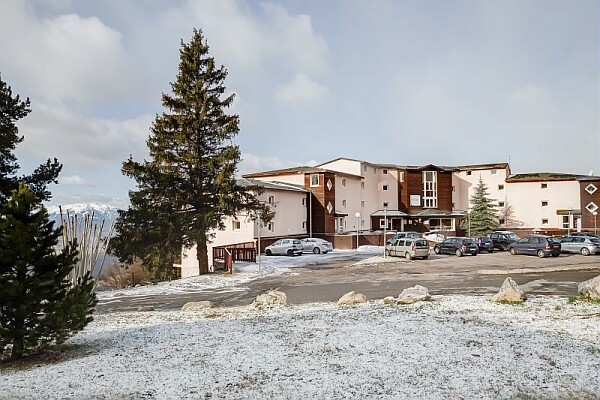 This stylish and comfortable hotel is just 200m from the ski school and the resort gondola that takes you directly to the ski slopes of Font Romeu in just 10 minutes. 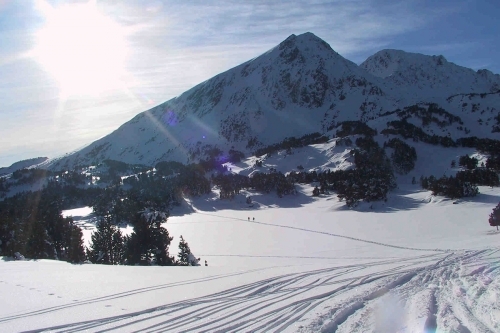 Sitting in the heart of the family-friendly town of Font Romeu, and ideally located for all the amenities the town has to offer is the hotel Le Grand Tetras. 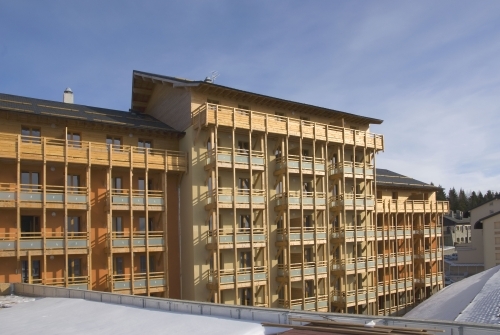 The hotel itself has an organic contemporary styling using natural products such as wood and stone but remains warm and inviting - a great place to relax after a hard day on the resort's renowned sunny slopes. The comfortable and modern rooms are stylishly decorated to create a cosy yet modern mountain feel and are equipped with en suite facilities and organic olive oil based citrus toiletries. The rooms of the top floor have enclosed balconies whilst those on the 4th floor have larger open balconies – all with views which range from stunning panoramas of the Pyrenean peaks to the local forest. A breakfast buffet made with regional and organic produce is served each morning and can be taken in the breakfast room with its open fireplace, or in the privacy of your own room – uniquely delivered through a little hatch hidden away in the wardrobe! The breakfast room with its welcoming chimney also doubles as a reading lounge during the day and can be a great place to relax and read a good book in front of the fire or simply watch the world go by in the street below through the panoramic windows that look out over the rooftops to the mountain peaks beyond. 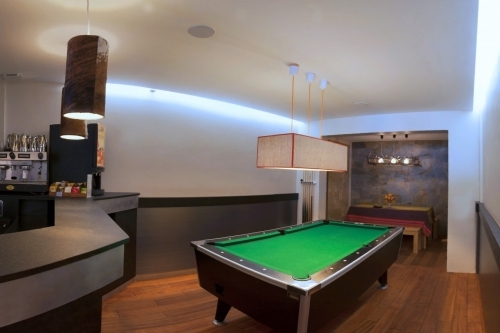 In the evenings the lounge turns into a small bar with a pool table and a cosy relaxing atmosphere. 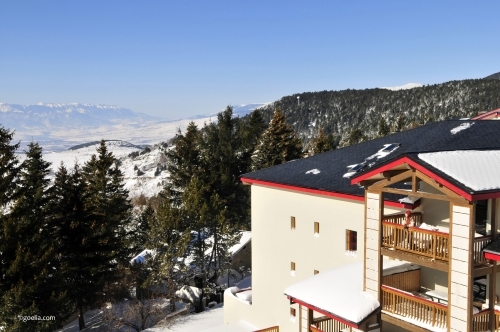 On one of the many sunny days you can head to the roof terrace sun deck with its hot tub and amazing mountain vistas! 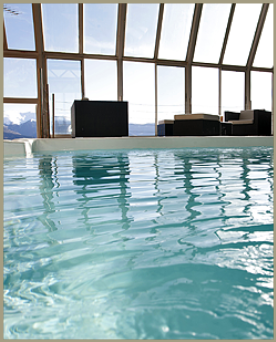 Or if the weather is not that clement then try a little pampering in the sauna, hot tub and indoor pool. Alternatively, the thermal baths at nearby Saint Thomas are a must. 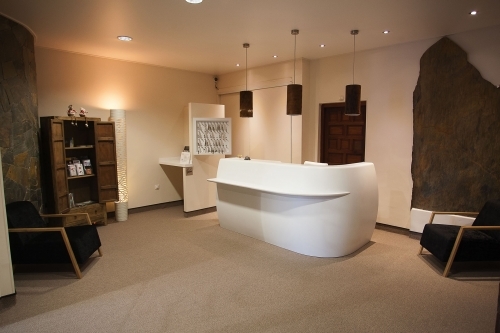 These baths are some of the hottest in the Pyrenees and are set in the centre of a stone amphitheatre - a truly unique experience. All the rooms have a bathroom with bath tub with overhead shower attachment, heated towel rail and hairdryer, alarm clock, minibar, safe, a separate WC and a large flat-screen cable & satellite TV, Wi-Fi and a balcony. Double/twin room with mountain view and balcony sleeps 2 (ca. 25- 30m2): Double bed with ensuite bathroom & separate WC. Double/twin room with forest view sleeps 2 (ca. 25- 30m2): Double bed with ensuite bathroom & separate WC. 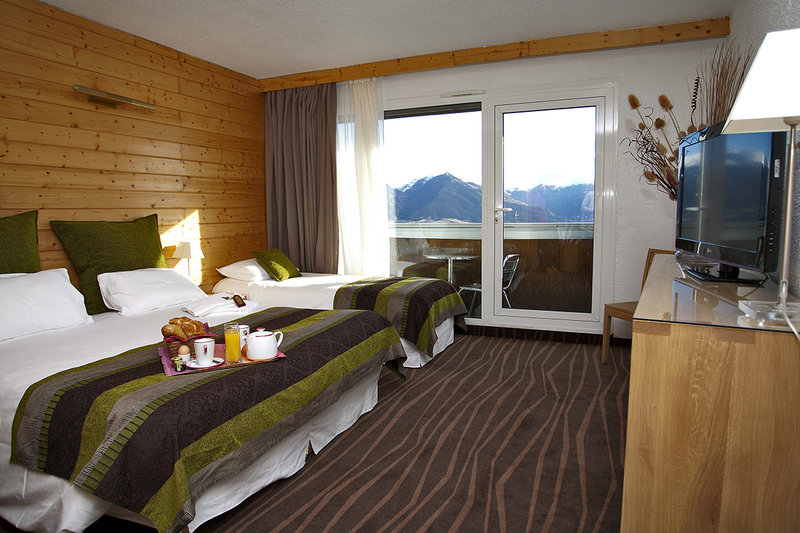 Triple room with mountain view and balcony sleeps 3 (ca. 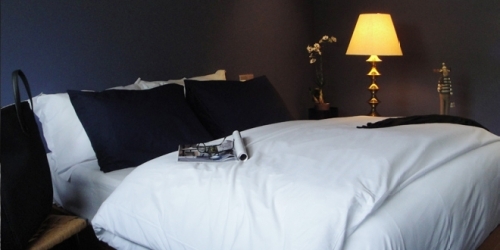 30- 35m2): Double bed and single bed (3 single beds on request), ensuite bathroom & WC. 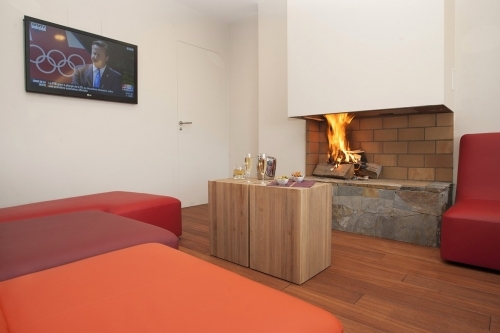 Family Room with mountain & forest view and 1 balcony sleeps 4 (ca. 50- 60m2): 1 Double mountain view room connecting to 1 twin forest view room with ensuite shower room & WC. Room a bed & breakfast basis (buffet breakfast in the lounge area), afternoon chimney lounge/reading room, evening lounge bar with pool table, access to Rooftop garden and indoor pool (Open 08.30 – 20.30) gym, steam room and sauna (open 11.30 – 18.00), lift, luggage storage. Only one pet per room is allowed and will be allowed free of charge. A valid passport for your pet is compulsory. 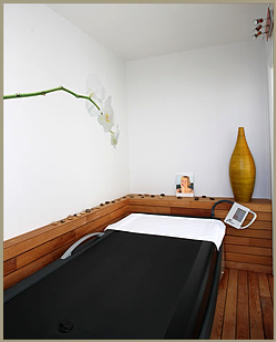 Cots (subject to availability, request at time of booking). 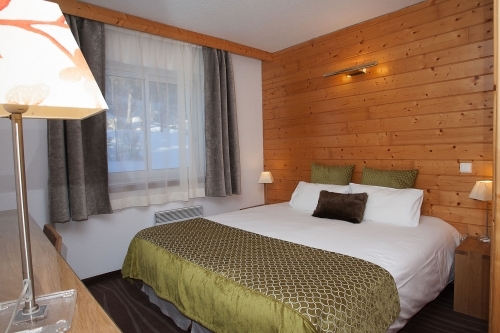 Arrival day at Hotel Le Chalet is daily from 14:00 and Departure by 11:00.